Panellists will include Rita Wong, Roy Miki, Sean Gunn, Dorothy Christian, Kai Nagata, and Susanne Tabata. 30 years ago the Canadian government agreed to redress the egregious act of stripping Japanese Canadians of their citizenship during the 1940s, branding them as enemy aliens, liquidating their properties and sending them to internment and work camps, in addition to forcing them leave BC in 1945 (the government shipped them to Japan or relocated them to scattered towns and cities throughout the rest of Canada). 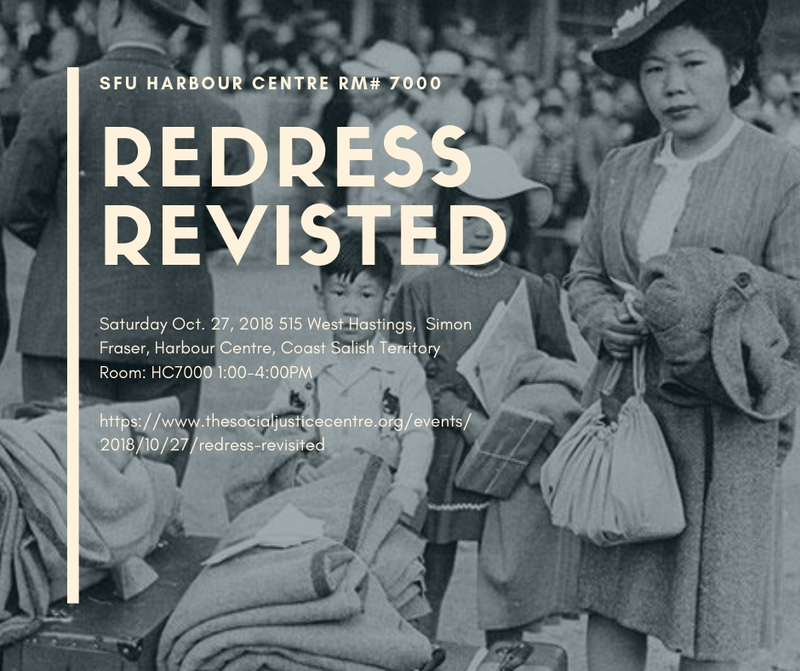 Japanese Canadian activists mobilized to demand redress in the 1980s and after years of refusing, Canadian government finally agreed to the terms of the settlement presented by the National Association of Japanese Canadians in 1988. What did it mean to Japanese Canadians who were incarcerated and/or shipped to Japan as enemy aliens? Did their work have any significance for other racialized and colonized groups? What does it mean today? Do people now just remember the apology and financial redress? Has the history of Japanese Canadians been turned into yet another multicultural story of struggle and success? 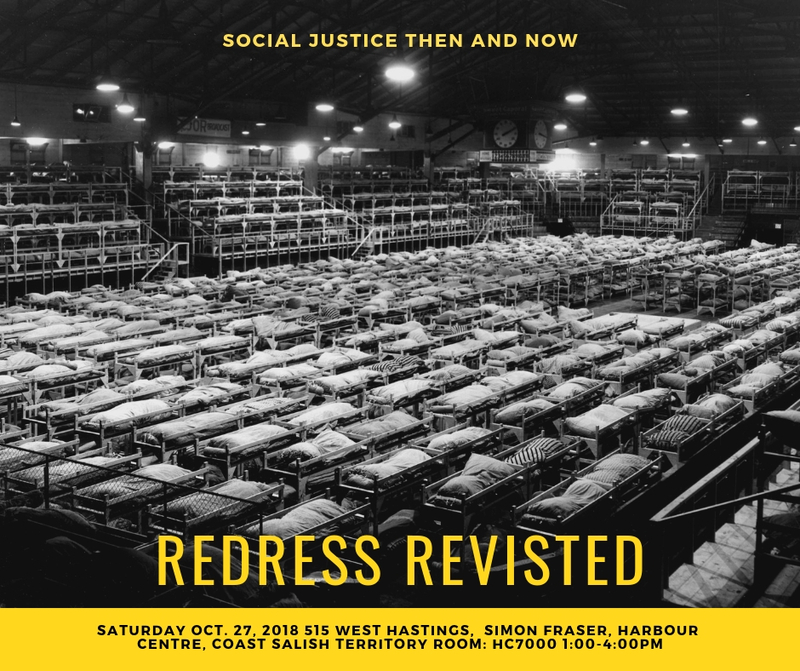 Has the demand for redress make a difference in the arts, the media, politics, the environment, education, First Nations resurgence, solidarity or is another approach than redress needed now?